my mom is visiting me here in Pittsburgh for the weekend. while it' s great to catch up with her (especially since I'm so far away from home for most of the year), there are a few other perks to a visit from mom. lots and lots of delicious food. 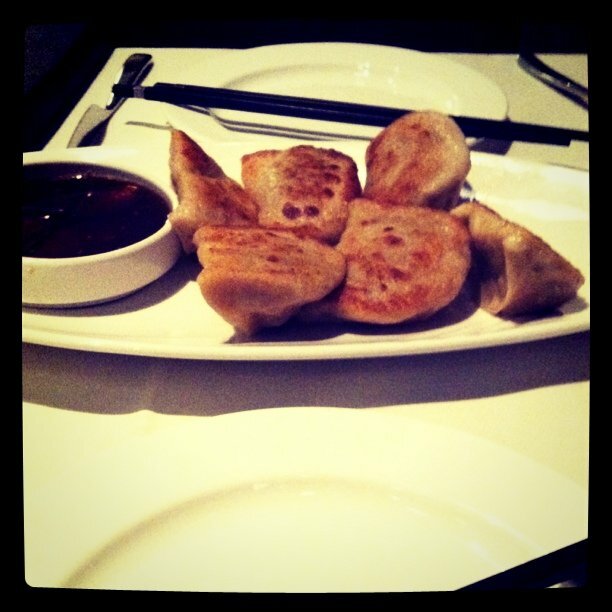 these vegetable dumplings were eaten at Plum on Thursday night. let's just say I'm eating far better than I usually do. last night's feast involved seitan and coconut rum cake at The Zenith Cafe. she also took me shopping. I'm feeling a little spoiled at the moment, but I am 100% OK with that.